Ingeborg Hermine "Inge" Morath ( listen ; May 27, 1923 – January 30, 2002) was an Austrian-born American photographer. In 1953, she joined the Magnum Photos Agency, founded by top photographers in Paris, and became a full photographer with the agency in 1955. Morath was also the third and last wife of playwright Arthur Miller; their daughter is screenwriter/director Rebecca Miller. Morath was born in Graz, Austria, to Mathilde (Wiesler) and Edgar Morath, scientists whose work took them to different laboratories and universities in Europe during her childhood. Her parents had converted from Catholicism to Protestanism. First educated in French-speaking schools, Morath relocated in the 1930s with her family to Darmstadt, a German intellectual center, and then to Berlin, where Morath's father directed a laboratory specializing in wood chemistry. Morath was registered at the Luisenschule near Bahnhof Friedrichstraße. Morath's first encounter with avant-garde art was the Entartete Kunst (Degenerate Art) exhibition organized by the Nazi party in 1937, which sought to inflame public opinion against modern art. "I found a number of these paintings exciting and fell in love with Franz Marc's Blue Horse", Morath later wrote. "Only negative comments were allowed, and thus began a long period of keeping silent and concealing thoughts." Toward the end of World War II, Morath was drafted for factory service in Tempelhof, a quarter of Berlin, alongside Ukrainian prisoners of war. During an attack on the factory by Russian bombers, she fled on foot to Austria. In later years, Morath refused to photograph war, preferring to work on stories that showed its consequences. Mrs. Eveleigh Nash, London, 1953. After the war, Morath worked as a translator and journalist. In 1948, she was hired by Warren Trabant, first as Vienna Correspondent and later as the Austrian editor, for Heute, an illustrated magazine published by the Office of War Information in Munich. Morath encountered photographer Ernst Haas in post-war Vienna, and brought his work to Trabant's attention. Working together for Heute, Morath wrote articles to accompany Haas' pictures. In 1949, Morath and Haas were invited by Robert Capa to join the newly founded Magnum Photos in Paris, where she started as an editor. Working with contact sheets sent into the Magnum office by founding member Henri Cartier-Bresson fascinated Morath. "I think that in studying his way of photographing I learned how to photograph myself, before I ever took a camera into my hand." Morath was briefly married to the British journalist Lionel Birch and relocated to London in 1951. That same year, she began to photograph during a visit to Venice. "It was instantly clear to me that from now on I would be a photographer", she wrote. "As I continued to photograph I became quite joyous. I knew that I could express the things I wanted to say by giving them form through my eyes." Morath applied for an apprenticeship with Simon Guttman, who was then an editor for Picture Post and running the picture-agency Report. When Guttman asked what Morath wanted to photograph, and why, she answered that "after the isolation of Nazism I felt I had found my language in photography." After Morath had spent several months working as Guttman's secretary, she had an opportunity to take photographs. She sold her first photographs - of opening nights, exhibitions, inaugurations, etc. - under the pseudonym "Egni Tharom", her name spelled backwards. Morath divorced Birch and returned to Paris to pursue a career in photography. In 1953, after Morath presented her first large picture story, on the Worker Priests of Paris, to Capa, he invited her to join Magnum as a photographer. Her first assignments were stories that did not interest "the big boys." 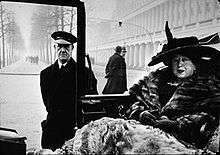 She went to London on an early assignment to photography the residents of Soho and Mayfair. Morath's portrait of Mrs. Eveleigh Nash, from that assignment, is among her best-known works. At Capa's suggestion, in 1953–54, Morath worked with Cartier-Bresson as a researcher and assistant. In 1955 she was invited to become a full member of Magnum Photos. During the late 1950s, Morath traveled widely, covering stories in Europe, the Middle East, Africa, the United States, and South America, for such publications as Holiday, Paris Match, and Vogue. In 1955 she published Guerre à la Tristesse, photographs of Spain, with Robert Delpire, followed by De la Perse à l'Iran, photographs of Iran, in 1958. Morath published more than thirty monographs during her lifetime. In 1959, while photographing the making of The Unforgiven, starring Audrey Hepburn, Burt Lancaster, and Audie Murphy, Morath accompanied Huston and his friends duck hunting on a mountain lake outside Durango, Mexico. Photographing the excursion, Morath saw through her telephoto lens that Murphy and his companion had capsized their boat 350 feet from shore. She could see that Murphy, stunned, was nearly drowning. A skilled swimmer, Morath stripped to her underwear and hauled the two men ashore by her bra strap while the hunt continued uninterrupted. Marilyn Monroe, dancing with Eli Wallach, and Clark Gable, rehearsing a scene during the filming of The Misfits, 1960. Morath worked again with Huston in 1960 on the set of The Misfits, a film featuring Marilyn Monroe, Clark Gable and Montgomery Clift, with a screenplay by Arthur Miller. Magnum Photos had been given exclusive rights to photograph the making of the movie, and Morath and Cartier-Bresson were the first of nine photographers to work on location outside Reno, Nevada during the process. Morath met Miller while working on The Misfits. Morath married the playwright Arthur Miller on February 17, 1962 and relocated permanently to the United States. Miller and Morath's first child, Rebecca, was born in September 1962. The couple's second child Daniel was born in 1966 with Down syndrome and was institutionalized shortly after his birth. Today Rebecca Miller is a film director, actress, and writer. Morath's achievements during her first decade of work as a photographer are significant. Along with Eve Arnold, she was among the first women members of Magnum Photos, which remains to this day a predominantly male organization. Many critics have written of the playful surrealism that characterizes Morath's work from this period. Morath attributed this to the long conversations she had with Cartier-Bresson during their travels in Europe and the United States. Morath's work was motivated by a fundamental humanism, shaped as much by her experience of war as by its lingering shadow over post-war Europe. In Morath's mature work, she documents the endurance of the human spirit under situations of extreme duress, as well as its manifestations of ecstasy and joy. After re-locating to the United States, during the 1960s and 1970s Morath worked closer to home, raising a family with Miller and working with him on several projects. Their first collaboration was the book In Russia (1969), which, together with Chinese Encounters (1979), described their travels and meetings in the Soviet Union and the People's Republic of China. In the Country, published in 1977, was an intimate look at their immediate surroundings. For both Miller, who had lived much of his life in New York City, and Morath, who had come to the US from Europe, the Connecticut countryside offered a fresh encounter with America. Reflecting on the importance of Morath's linguistic gifts, Miller wrote that "travel with her was a privilege because [alone] I would never been able to penetrate that way." In their travels Morath translated for Miller, while his literary work was the entrée for Morath to encounter an international artistic elite. 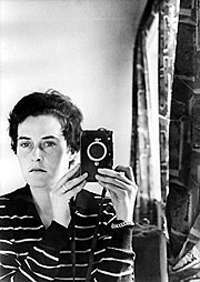 The Austrian photographer Kurt Kaindl, her long-time colleague, noted that "their cooperation develop[ed] without outward pressure and is solely motivated by their common interest in the people and the respective cultural sphere, a situation that corresponds to Inge Morath's working style, since she generally feels inhibited by assignments." Morath sought out, befriended, and photographed artists and writers. During the 1950s she photographed artists for Robert Delpire's magazine L'Oeil, including Jean Arp and Alberto Giacometti. She met the artist Saul Steinberg in 1958. When she went to his home to make a portrait, Steinberg came to the door wearing a mask which he had fashioned from a paper bag. Over a period of several years, they collaborated on a series of portraits, inviting individuals and groups of people to pose for Morath wearing Steinberg's masks. Another long-term project was Morath's documentation of many of the most important productions of Arthur Miller's plays. Louise Bourgeois with her sculpture To Fall on Deaf Ears, 1991. Actor Dustin Hoffman with Lee J. Cobb, who originated the role of Willy Loman in Arthur Miller's Death of a Salesman, 1965. As the scope of her projects grew, Morath prepared extensively by studying the language, art, and literature of a country to encounter its culture fully. Although photography was the primary means through which Morath found expression, it was but one of her skills. In addition to the many languages in which she was fluent, Morath was also a prolific diary and letter-writer; her dual gift for words and pictures made her unusual among her colleagues. Morath wrote extensively, and often amusingly, about her photographic subjects. Although she rarely published these texts during her lifetime, posthumous publications have focused upon this aspect of her work. They have brought together her photographs with journal writings, caption notes, and other archival materials relating to her various projects. During the 1980s and 1990s, Morath continued to pursue both assignments and independent projects. The film Copyright by Inge Morath was made by German filmmaker Sabine Eckhard in 1992, and was one of several films selected for a presentation of Magnum Films at the Berlin International Film Festival in 2007. Eckhard filmed Morath at home and in her studio, and in New York and Paris with her colleagues, including Cartier-Bresson, Elliott Erwitt and others. In 2002, working with film director Regina Strassegger, Morath fulfilled a long-held wish to revisit the lands of her ancestors, along the borderlands of Styria and Slovenia. This mountainous region, once part of the Austro-Hungarian Empire, had become the faultline between two conflicting ideologies after World War II and until 1991, when attempts at rapprochement lead to conflict on both sides of the border. The book Last Journey (2002), and Strasseger's film Grenz Räume (Border Space, 2002), document Morath's visits to her homeland during the final years of her life. Morath Miller died of cancer in 2002, at the age of 78. 2003, her family established the Inge Morath Foundation to preserve and share her legacy. 2002, members of Magnum Photos established the Inge Morath Award in honor of their colleague as an annual award. It is administered by the Inge Morath Foundation, and is given to a woman photographer under the age of 30, to support her work towards the completion of a long-term project. "Photography is a strange phenomenon ... You trust your eye and cannot help but bare your soul. "Inge Morath was, above all, a traveller ... [H]er approach to a story was 'to let it grow', without any apparent concern for narrative structure, trusting in her experience and interests to shape her work rather than in an editorial formula ... She unsentimentally made pictures that were guided by her relationship to a place. These relationships were invariably intimate and long-lasting; she regularly revisited the places she chose to photograph and learned the relevant language ... Similarly, her photographs of people are born of intimacy without sentimentality. It is as if the presentation of relationships takes the place of story structure, and her work is best understood as an ongoing series of observations of the life she made for herself." 1955 Guerre à la Tristesse. Delpire, France. ↑ "Ingeborg Hermine Morath". enciclopedia.cat. ↑ Morath, Inge. "I Trust My Eyes" (Manuscript for Berlin Lecture), page 4. Unpublished: date unknown. Inge Morath Foundation. ↑ Morath (n.d.) I Trust My Eyes , p. 9. ↑ Morath, Inge. I Trust My Eyes (Manuscript for Berlin Lecture), page 15. Unpublished: date unknown. Inge Morath Foundation. ↑ Morath, Inge. I Trust My Eyes (Manuscript for Berlin Lecture), page 17. Unpublished: date unknown. Inge Morath Foundation. ↑ Morath, Inge. I Trust My Eyes (Manuscript for Berlin Lecture), page 18. Unpublished: date unknown. Inge Morath Foundation. ↑ Morath, Inge. "About Myself", in Inge Morath: Life as a Photographer, page 15. Munich: Gina Keyahoff Verlag, 1999. ↑ Morath, Inge. I Trust My Eyes (Manuscript for Berlin Lecture), page 22. Unpublished: date unknown. Inge Morath Foundation. 1 2 Morath, Inge. Portraits, New York: Aperture Foundation, 1986. ↑ "Epic in Durango", TIME Magazine: March 23, 1959. ↑ Serge Toubiana and Arthur Miller. The Misfits: Story of a Shoot. New York: Phaidon, 2000. ↑ Morath, Inge. The Road to Reno. Göttingen, Steidl, 2006. Page 111. ↑ "Fotohof - Fotohof". fotohof.at. ↑ Boot, Chris, ed. Magnum Stories. New York: Phaidon, p. 338.